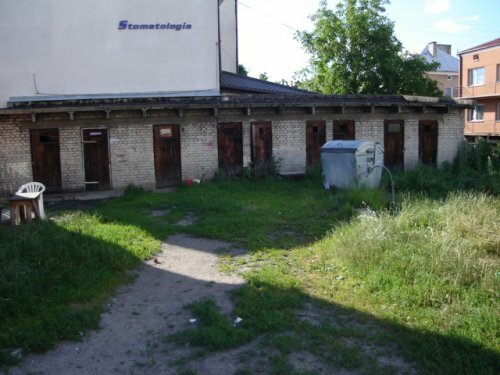 Hoboes have been known to sleep on trains for years; however here in Augustow, Poland there seems to be a different type of Hobo. 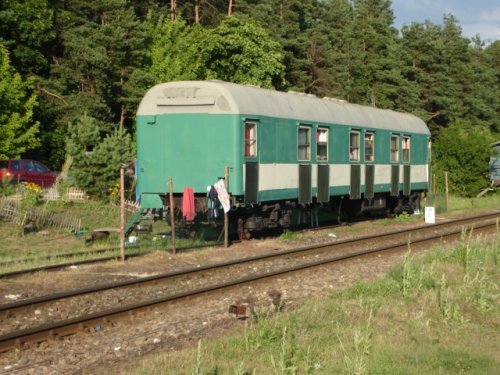 There appears to be tourist who rent the older train cars on the tracks as a home while they visit the local water sports area and beautiful lakes of Augustow, Poland. These many doors have been a large question mark for me, as there are too many and too close together. The explanation I heard today is there was a time when the government gave everyone a sheet or paper with stamps, Similar to a food stamp system and the people would go to the store, exchange their stamps for food and feed their family. However because there was not enough food to feed the family, most of the townspeople would have a small rooms where they would raise animals like Chickens and Pigs. There were also many small patches of gardens.